Strong aluminum and steel construction make this a fence that will assure accurate cuts and provide a lifetime of enjoyment. Lighter in weight, yet just as strong, this fence is sure to be a hit with contractors and in the home workshop. 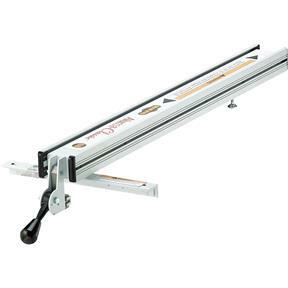 Cam-lever front locking mechanism and torsion box design allow this fence to fit on just about any table saw without the need for a rear locking mechanism. 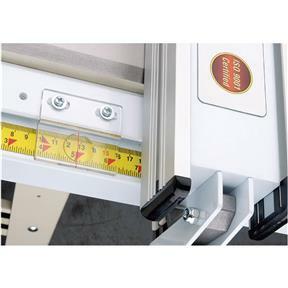 Includes standard rails, a self-adhesive measuring tape and adjustable magnified cursor for quick positioning.